Its Summertime and all is set for the long-awaited vacation! 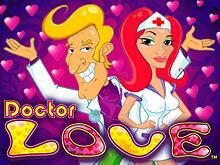 Microgaming's Doctor Love is a five reeled, three rows, and 20 payline video slot. The slot has an appealing theme which is inspired by the adventures of a medical doctor. You will get a chance to meet three characters, Dr. Love, Nurse Nadia, and the sick patient. Microgaming have utilized stunning graphics, great sound effects, and fast gameplay to increase the fun and thrill of the game. The game uses other symbols including a teddy bear, heart-shaped pills, and a patient. The background is visually attractive with a purple healing pattern. The Dr. Love video slot is powered by Microgaming's Quickfire platform and can be played on multiple devices instantly without having to download software. The fact that you can bet from as little as 0.01 to 5.00 per line makes this video slot good for both punters with low and high stakes. In this review, you will get to learn different things about Doctor Love slot including the payouts, features and symbols, and much more. Upon loading, you will be welcomed with an evoking summer screen. Whether or not you are familiar with medical items, you will quickly notice the presence of an ambulance, a stopwatch, the heart like pink pills, teddy bears, flowers, charts, crutches, stethoscope, and nurse Nadia. The background of the game will give the real feeling of beach life with coconut tree well aligned along the shore and the ocean blue sky. Like other Microgaming video slots, navigating around has been simplified using different functionalities. Before you start playing, you need to understand the basis of the game. Click on the 'Info' button to access the necessary details about Doctor Love slot including the payouts, the features, and the game rules. Before placing your bets, you will have to adjust the number of lines using the positive (+) and negative (-) signs. At the bottom of your screen, you will find your Balance, Total Bet, and your game Win. The maximum bet on all the 20 paylines is $40, and there is an option to set your game in Autoplay mode. The symbols on the reels in the game match with the theme. The main symbols used in the game are a watch, a medical report chart, a teddy bear, flowers, crutches, pills, an ambulance, and a stethoscope. The exciting thing about this video slot is that there is a wide range of up to 49 possible combinations. There are two special symbols in Microgaming's slot. Doctor Love is the Wild symbol and can substitute for all symbols except the scatter love meter. Additionally, the wild symbol can form its winning combination to create a jackpot payout whenever 5 Love Doctor icons appear on an active line. This symbols are widely used and liked by gamers because you win even for hitting a single wild, also, the more wilds on a line, the bigger the prize. The Scatter symbol is represented by the Love Meter and them payout whenever two or more icons land on the reels. The most important thing is that the Scatter symbol will activate the free spins feature. This is the most exciting features in Doctor Love video slot. You stand a chance of winning from 10 up to 20 free games whenever 3, 4 or 5 scatter Love Meter appears. The free spins will start automatically with the number of lines and bet size set during the standard game. Also, the game has a Gamble Feature which is only activated after a winning spin. There is a gamble feature next to the Spin button. Hitting this feature will enable a new screen and a mystery card. You will be asked to choose between color or suite. Your winnings will be doubled or quadrupled if your answer is correct. Microgaming is a leading and a pioneer in the online casino gaming industry. The company has earned many accolades for their outstanding performance especially in the production of online video slots. Their games are not only liked because of the stunning graphics and excellent sound effects but also for cross compatibility. 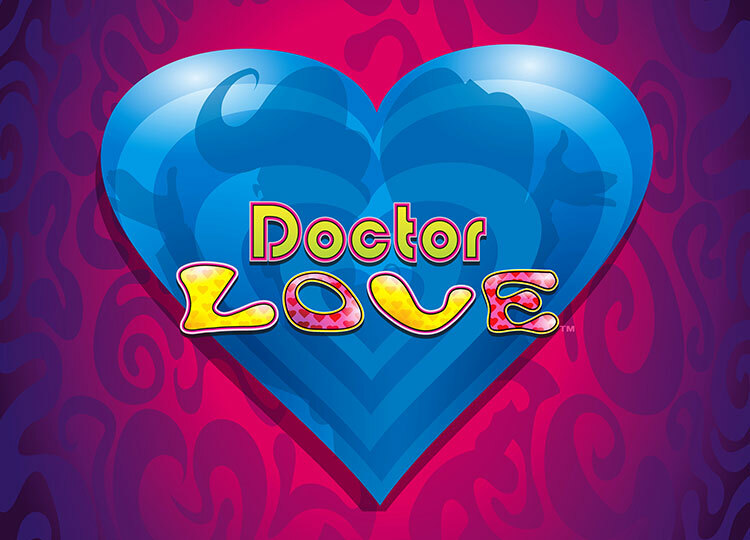 You can play Doctor Love video slot on different devices such as mobile phones, tablets, and personal computers. The game is available in instant flash play mode, meaning you don't have to worry about downloading software to play. Doctor Love is a standard video slot that will capture your attention with its striking blend of purple and pink colors amid attractive graphics and theme. The sound effects are soothing and subtle, while the reel moves faster than regular games. The slot has a simple, straightforward layout and can be played in both free mode and real money. With a theoretical return to player of 95.00% and medium volatility, you rest assured of big wins in the long term.